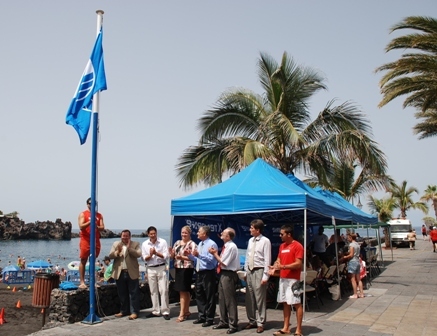 Blue Flag award yet again for Playa arena. Blue Flag status is awarded to beaches in more than 30 countries in Europe, South Africa, New Zealand, Canada and the Caribbean. The Blue Flag requires compliance with water quality standards, safety, general services and standards of environmental management. The Blue Flag is a badge awarded annually by the Foundation for Environmental Education to the beaches and marinas that meet a range of environmental conditions and facilities. 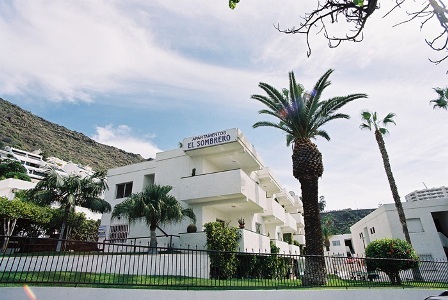 This year the awards went to the beaches of La Arena in Santiago del Teide (for the 24th consecutive year),El Médano, Leocadio Machado and La Tejita in Granadilla de Abona, Las Vistas and El Camisón in Arona, Troya I-II (Americas I-II) in Adeje, El Socorro Los Realejos, Playa Jardín in Puerto de la Cruz and La Arena (Mesa del Mar) in Tacoronte. Many of these awarded beaches have a wide range of services such as showers, bars, restaurants, telephones, surveillance, police, Red Cross, toilets, sun-beds and umbrellas for rent, rental of sports equipment and access for disabled. Others have alternative services such as parking, camping or nudist area. Each has got its own personality and charm. Golden sands and white or black sand, wind and waves for water sports or quiet relaxation and serenity, different beaches to suit all needs. 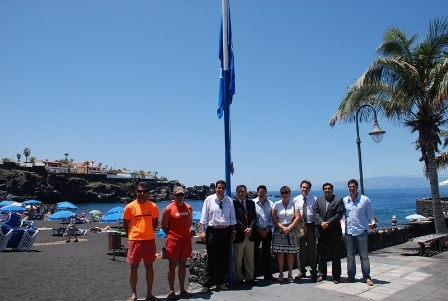 Due to the number of Blue Flags beaches Tenerife is now high on the list of best venues in the world.